Put in Bay Taxi Service is offered by Coop’s Cabs and is focused more than ever on providing quality taxi and shuttle services for the Put-in-Bay and South Bass Island area. They are pleased to offer you the impeccable service that they’re known for and hope to continue delivering satisfactory service to their valued Put-in-Bay customers. Coop’s Cab provides a wide range of transportation services, including corporate transportation, ferry shuttle services, and bar/hotel/pool-hopping services in the downtown Put-in-Bay area. Airport transfers – from the Put-in-Bay airport to your hotel. Bar hopping for weddings, bachelor parties, and bachelorette parties. 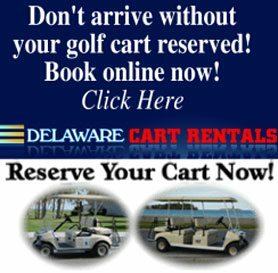 Their corporate shuttle services provide transportation for large group conventions, tours, and corporate outings. Whether you are just coming from or to the ferry or need a ride down to your fishing charter, Put in Bay Taxis is here to service your group. No matter your transportation needs in the South Bass Island area, whether they be a wedding party limo, corporate shuttle service, shuttle for a night on the town, or a van for an airport transfer, Coop’s Cab Put in Bay Taxi service will get you where you’re going, and do so in a relaxed, fun, professional manner. Our experienced drivers have a flawless safety record and our vans are modern and the islands newest fleet.